Never heard of Suzhou, China? Click here to learn about this city, which is about 1.5 hours drive west from Shanghai — China’s largest city. 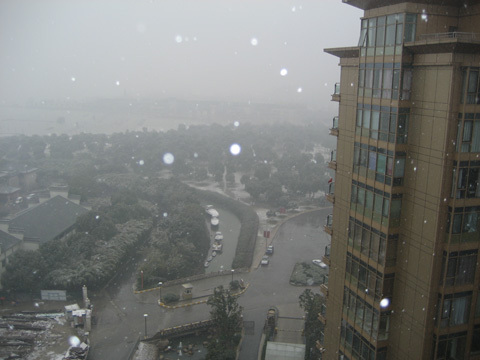 Since Suzhou doesn’t get snow very often, the city would actually come to a standstill, if the snowfall got any heavier. 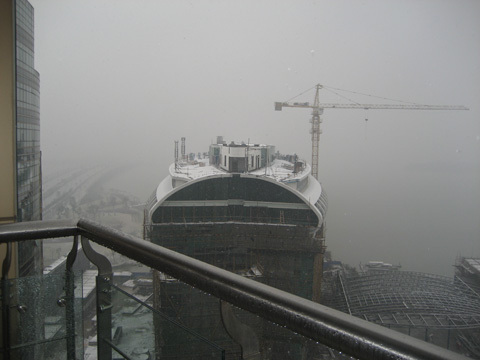 I was told by one of my Chinese co-workers, that it took him almost 2 hours to drive several kilometers to work, when Suzhou got some heavy snowfall a few years ago. Suzhou is not as efficient as Chicago when it comes to clearing snow off the roadways. I took a few pictures from the balcony of the Suzhou Crowne Plaza Hotel that I’m currently staying at. See below. 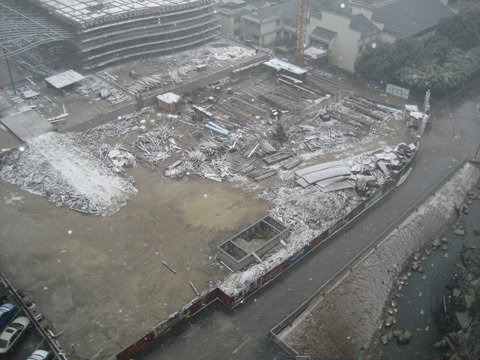 The above picture shows the construction yard of another phase of the Crowne Plaza Hotel they are building. It should be completed by October 2008. 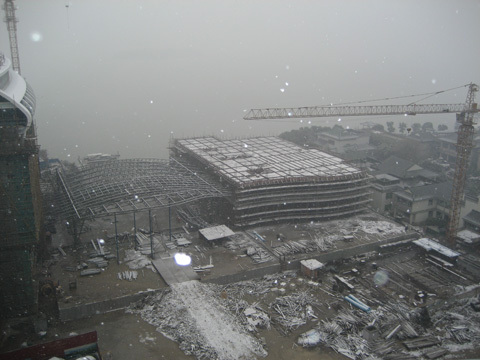 Here’s a wide shot of one of the buildings under construction. 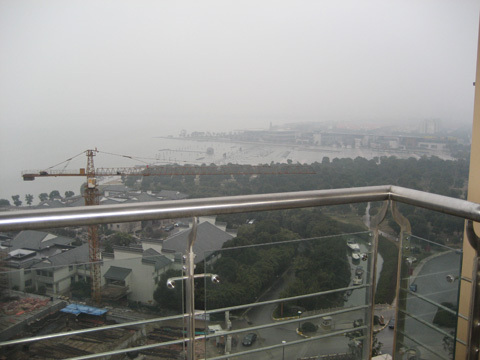 In the background is Jinji Lake, an upscale developement area in a section of the city called the Suzhou Industrial Park. Many foreigners live/work in this area. Another building under construction. I believe this will be the main building that will have most of the newer hotel rooms. 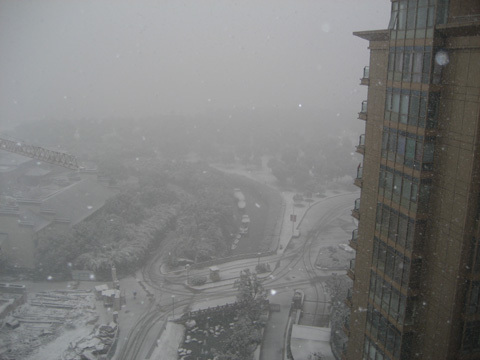 A view of a nearby apartment building in the Crowne Plaza complex. In the backgound is a park that is blanketed in a light dusting of snow. Above is a view of the same park — just a few days ago, before it started to snow. In the background is another shot of Jinji Lake. If you look very closely, you can just barely make out the fireworks and water fountain setup on the lake. The fireworks and water show occurs during the evenings, when the weather is better.